In recent years, Brazil has gotten enormous respect worldwide for its pioneering Civil Rights Framework for the Internet, commonly known as the Marco Civil. Even with some arguable imperfections, the Marco Civil is globally viewed as a concrete and history-making advance for freedom, privacy, and openness on the Internet, praised as “a Magna Carta for the web” by The Economist, and as a law that “cement[s Brazil’s] proud reputation as a world leader on democracy and social progress help[ing] to usher in a new era — one where citizens’ rights in every country around the world are protected by digital bills of rights,” by Sir Tim Berners-Lee. …provides a strong foundation to guarantee human rights online, having the right to freedom of expression as one of its pillars. This innovative and progressive law establishes real protection for the concept of net neutrality, as well as guarantees for online privacy, internet development, internet service providers liability, promotion of digital inclusion practices, and expansion of e-government. The Marco Civil remains one of the best-crafted and democratically debated expressions of rights online to acquire the force of law in the world. But it’s not the end of the story. Like every foundational document, from any Constitution to the Universal Declaration of Human Rights, the real challenges come in interpretation and enforcement. It’s up to Brazil’s engaged citizens to make sure that the law and upcoming legislation upholds the high standard its creators set. And in fact, passing the Marco Civil da Internet into law was not the end of the story. The next chapter is underway. Amid the tumult and chaos of Brazil’s current (and colossal) political crisis, the moment of counter-attack has arrived. Under the guise of fighting “cybercrime”, a group of Brazilian legislators, acting via a Parliamentary Commission of Inquiry, has introduced 8 bills that, to state it directly, would give the Brazilian government sweeping powers to censor and control the Internet. It’s time for Brazil’s Internet companies, startups, and investors to take action to stop these proposals from advancing. If you speak Portuguese, you can read the text of the Cybercrimes Commission’s proposals here, and find a summary and analysis by the Institute for Technology and Society of Rio de Janeiro here. 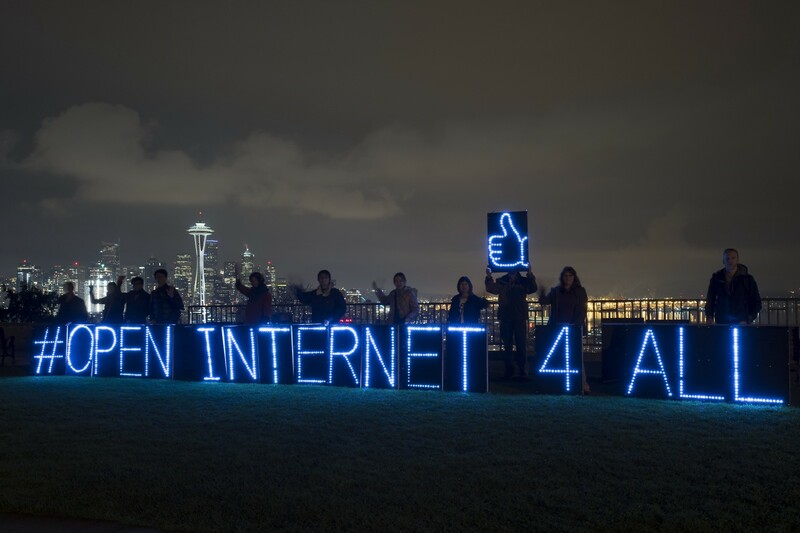 Require ISPs, websites, social networks, messaging services, etc., to censor criticism of politicians and others, via a 48-hour notice-and-takedown regime without any judicial oversight that would make social networks civilly and criminally liable for user speech that is “harmful to personal honor,” a vague term that opens the door to endless abuse by the powerful and incumbent. Punish anyone who violates the Terms of Service of a website, service, or application (something that happens innocently, all the time, because no one ever reads them in detail) with a jail sentence of up to 2 years, giving the government an essentially unlimited pretext for criminal conviction. Make it lawful for the courts to force ISPs and carriers to block Internet sites, services, and applications. Give law enforcement the power to identify users’ IP addresses without the oversight of a court order. Put together, these provisions would make for a dramatic setback to free speech and privacy in Brazil, crushing individual rights and enabling abuse by the government, public officials, incumbent corporations, and well-connected individuals. None of these provisions can be justified by the entirely legitimate objective of fighting online crime. If anything, they would encourage lawless behavior by the powerful. Over the past 20 years, I have have been a lawyer litigating the first Internet freedom of speech case to reach the U.S. Supreme Court; one of the initial leaders of ICANN, the global technical coordinating organization for the Internet; the head of global public policy for Google; and Deputy Chief Technology Officer of the U.S. under President Barack Obama, focusing on Internet policy, including fights against global censorship, for consumer privacy legislation, and to reform domestic surveillance laws and practices. I’ve taught classes at the Stanford and Harvard law schools. In recent years, I have been a partner at betaworks, a startup studio in New York City, where I rotated through roles as an entrepreneur, CEO, and early-stage investor. I am now at Medium, an open platform for expression and creativity. I mention all that to situate (and, OK, to preemptively defend) myself as someone who has, through various jobs, gathered some insight into what makes a country’s tech sector thrive. There are common prerequisites to a a nation’s success in tech and media, including strong universities, risk-friendly investment capital, and a reasonable approximation of rule of law. But one thing is almost guaranteed to kill a country’s innovation economy, and that is overbearing, abuse-prone regulation of the Internet, whether by government or by monopolistic incumbents like carriers. Like it or not, we live in an age where talented entrepreneurs can work and build their teams wherever they want. Even reasonably-sized Internet companies can move across borders when another country seems more supportive. And, at least until this week, Brazil has been seen as a nation of promise, where energetic technologists and entrepreneurs from all over the region wanted to be. Partly that’s due to the size (and enthusiasm) of Brazil’s domestic market, but perhaps even more important has been the impression that Brazil’s government will allow online tech and media companies to build and grow without interference. If the Cybercrimes Commission’s eight proposed bills become law, Brazil’s reputation will take a big hit. In place of its strong Magna Carta for the digital age, Brazil will revert to a vague and unpredictable legal regime that threatens to surprise tech companies and their leaders with severe criminal and civil punishments, just for offering typical digital services to users. Such a dark cloud of uncertainty will dampen innovative risk-taking, limiting what Brazilian entrepreneurs and established companies will even attempt to build. And Brazilians will react, too, choosing non-Brazilian services that don’t spy or censor instead of Brazilian ones that must. The net effect will be (1) the departure of some of Brazil’s first-rate engineering talent and business leadership for other, more Internet- and innovation-friendly countries, and (2) the loss of regional startups and market entrants that will simply avoid Brazil, staying out rather than risking crippling liability under these misguided proposals. At a time when its economy is reeling from falling resource prices, Brazil should be doing everything in its power to encourage the creation of new businesses that will use digital technology to boost sectors like media, retail, logistics, education, professional services, manufacturing, and so forth. Instead, the proposed cybercrimes legislation would do the opposite. That’s why entrepreneurs, technologists, investors, leaders, and employees across Brazil’s innovation economy must stand up and take action, and fast. The tense and fluid political situation in Brasilia makes it entirely possible that, absent strong public reaction, this legislation — which would arm embattled politicians, a very numerous group in Brazil, to silence their critics — could quickly move to a vote, win a majority, and become law. If that happens, no one will lose more than Brazil’s Internet sector. A set of digital rights organizations has published a joint statement against the Cybercrimes Commission’s proposals. I urge Brazilians to join the fight by (a) telling your representatives in Congress to drop these bills, (b) signing the online petition against them, and (c) asking your friends and colleagues to do the same.